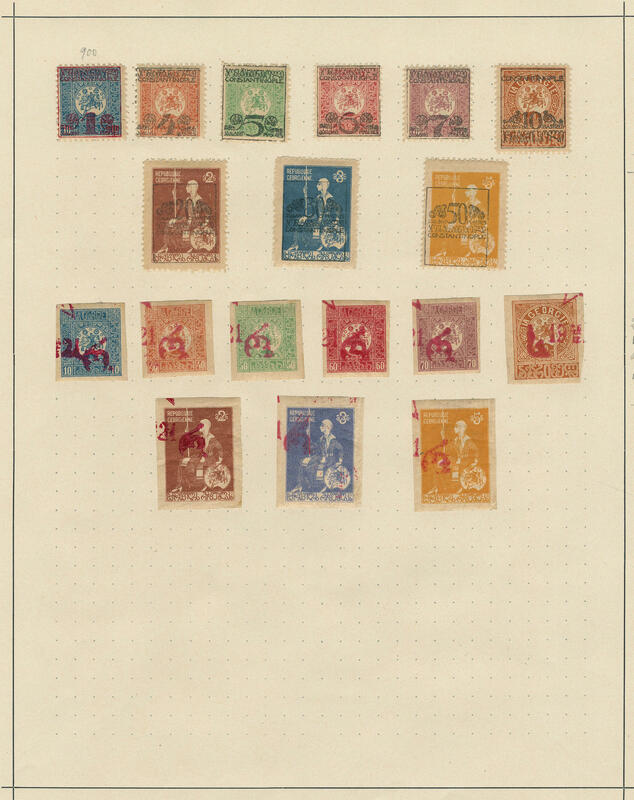 37 / /⊙ Gdansk - 1920 / 39, rich collection in the safe ring binder formed, as well numerous various issues, complete sets, souvenir sheets, airmail exhibition 1932 used and so on. 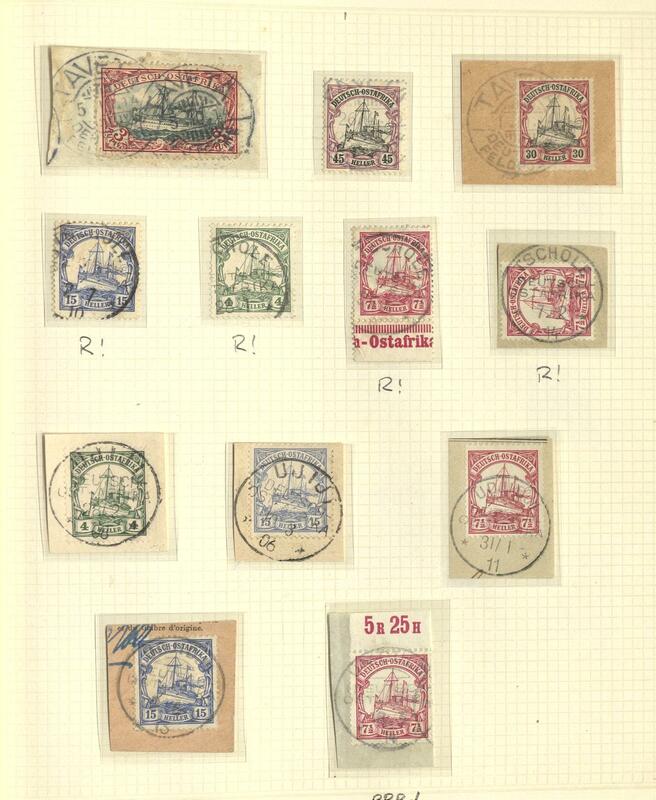 47 / Gdansk / Memel - extensive lot, mainly unused in a large stockbook with lots of material, partly close one above the other puted, with also Gdansk gulden values, airmail exhibition 1932 and so on. Very favorable! 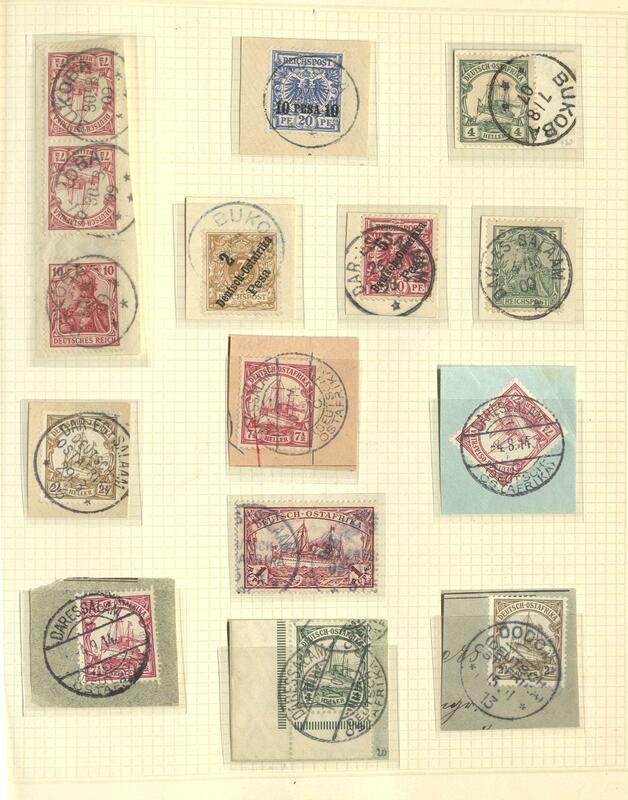 209 /⊙/ 207/11 Gdansk - interesting collection including better issues in the Lindner hingeless printed form ring binder. Also the Guilder Provisional arrangements 1923, gulden values (Michel no. 207 / 11), overprint set to the 15. 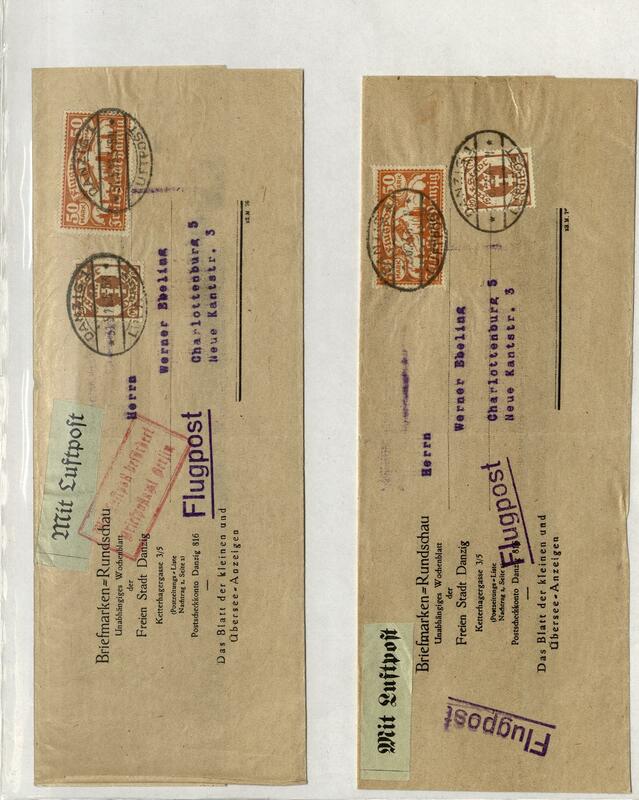 November 1930, winter relief sets, airmail exhibition 1932, all souvenir sheets, as well also numerous service- and postage due stamps, besides also Polish Post in Gdansk harbour. A magnificent object! 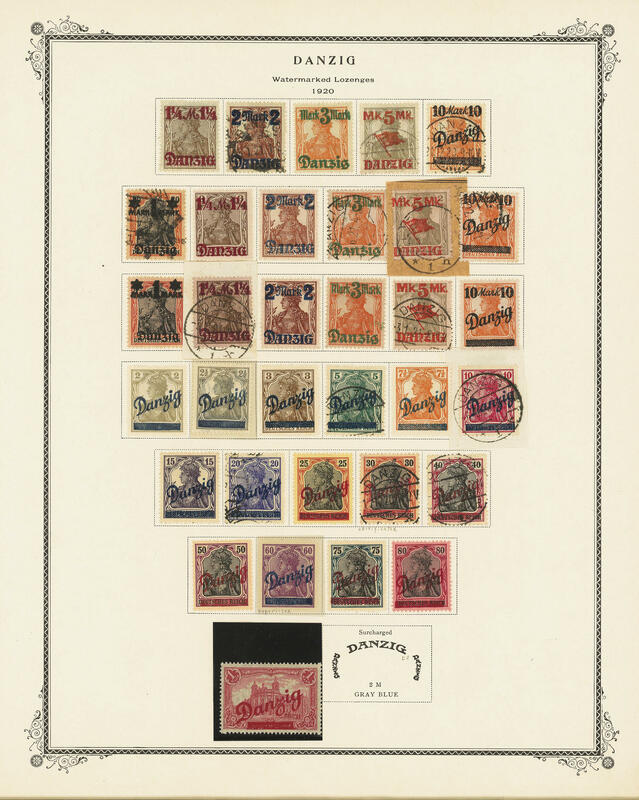 246 Kart⊙n Gdansk - extensive lot packed in a carton, as well numerous postage stamp issues, overprint items, many on stock cards. Unchecked for varieties / plate flaws, watermark and so on. Treasure trove! 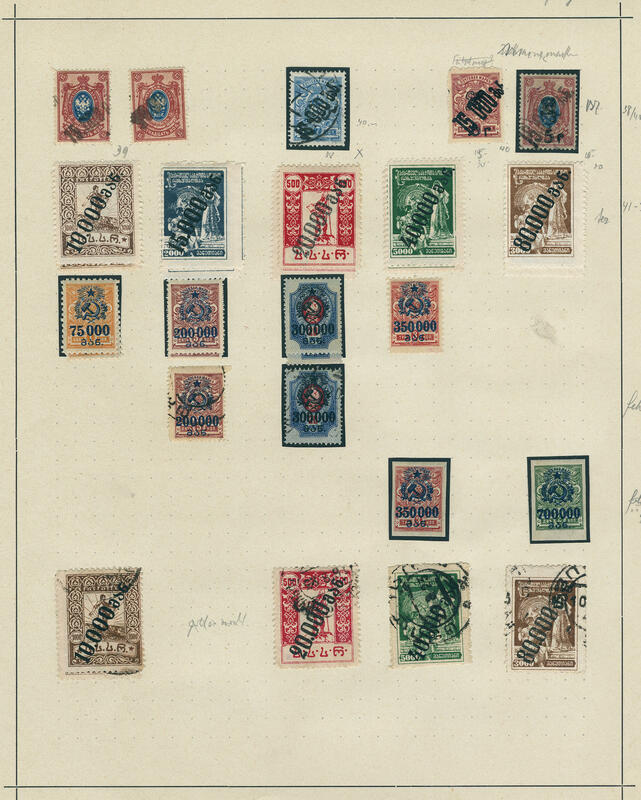 382 ⊙ Gdansk - 1920 / 39, extensive, almost exclusively used collection in the spring back binder, as well numerous overprint issues, better values, complete sets, airmail exhibition 1932, gulden values, winter help work 1934 and further winter relief series, all three souvenir sheets with special cancel, service- and postage due stamps, as well as a good part of Polish Post in Gdansk harbour. A magnificent object! 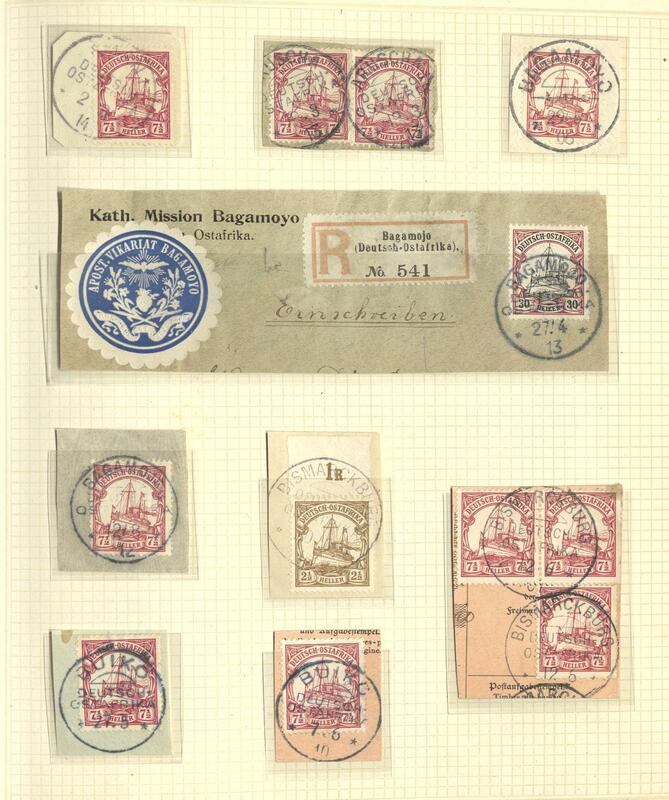 638 ⊙/ / Gdansk - interesting lot in a large stockbook with numerous issues, with also souvenir sheets, an extensive part service- and postage due stamps, as well Polish Post in Gdansk harbour. Favorable valued! 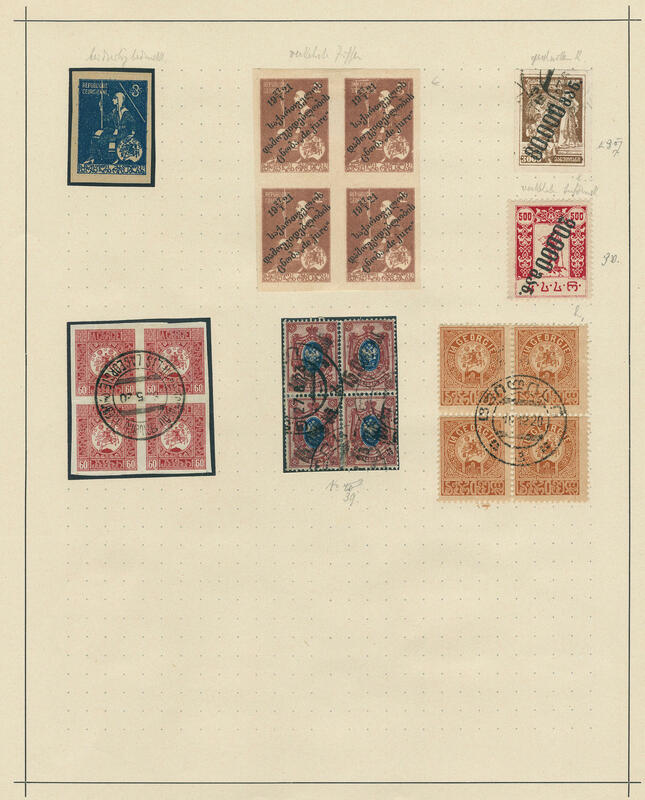 641 /⊙/ Gdansk - interesting and extensive lot in stock created in a large stockbook with a lot of material, as well overprint items abundant, many postal stamps, airmail, inflation stamps including genuine used material, gulden values and so on. Very high catalog value! 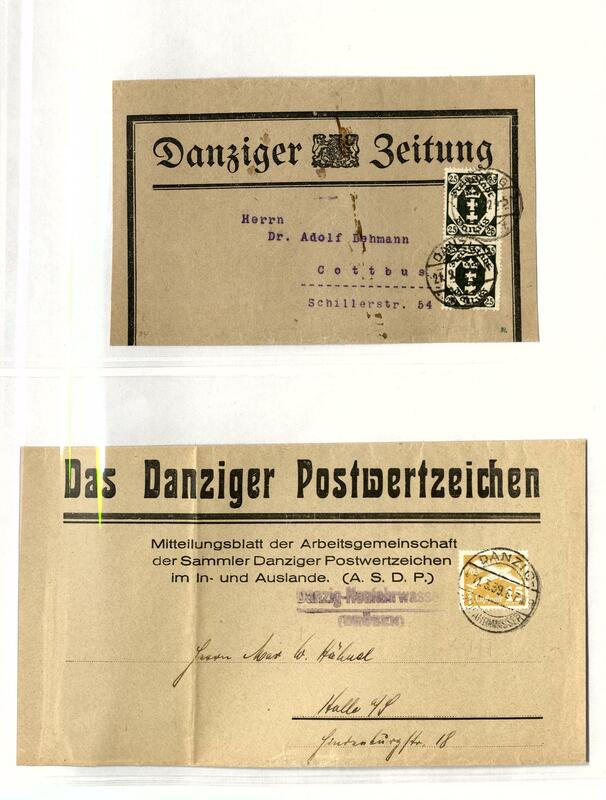 960 x Gdansk - interesting lot packed in a carton, as well stamp issues, as well also interesting documents, with also army postal service II. World war and so on. Please have a look! 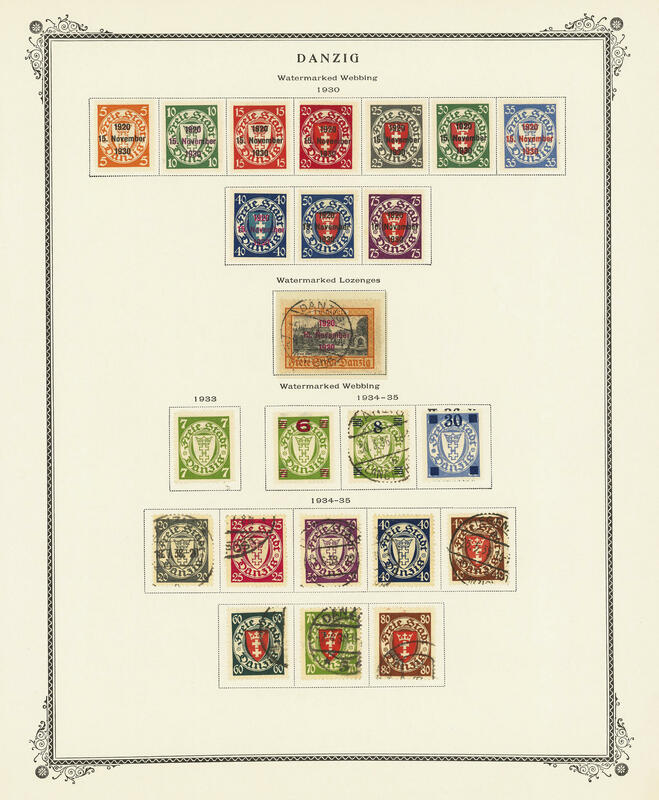 1030 ⊙/∆/ 207/11 Gdansk - 1920 / 39, superb collection, nearly complete with many good issues in the spring back binder. With also the small indoor service complete, 60 Pfg. Large indoor service, 1 Mk. 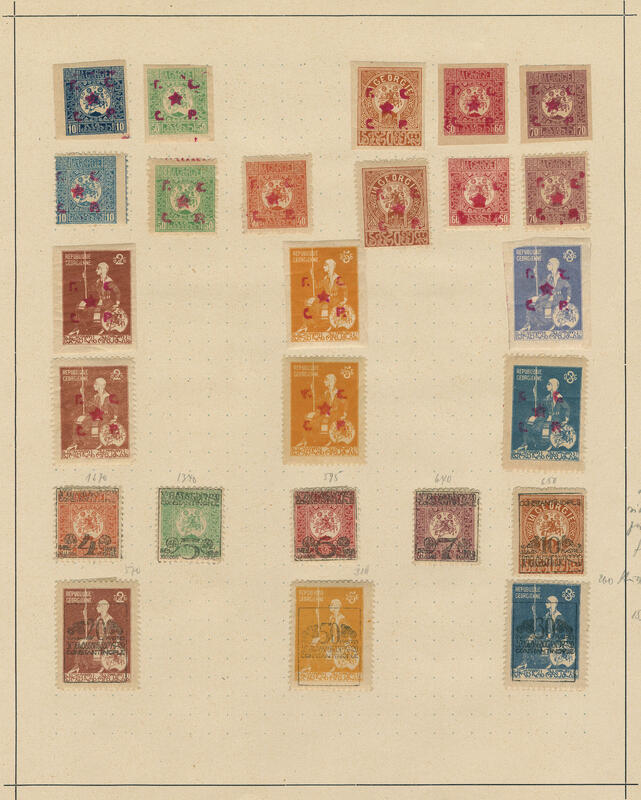 Large indoor service, numerous complete sets, Gulden provisional stamp 1923, gulden values (Michel no. 207 / 11), overprint set to the 15. 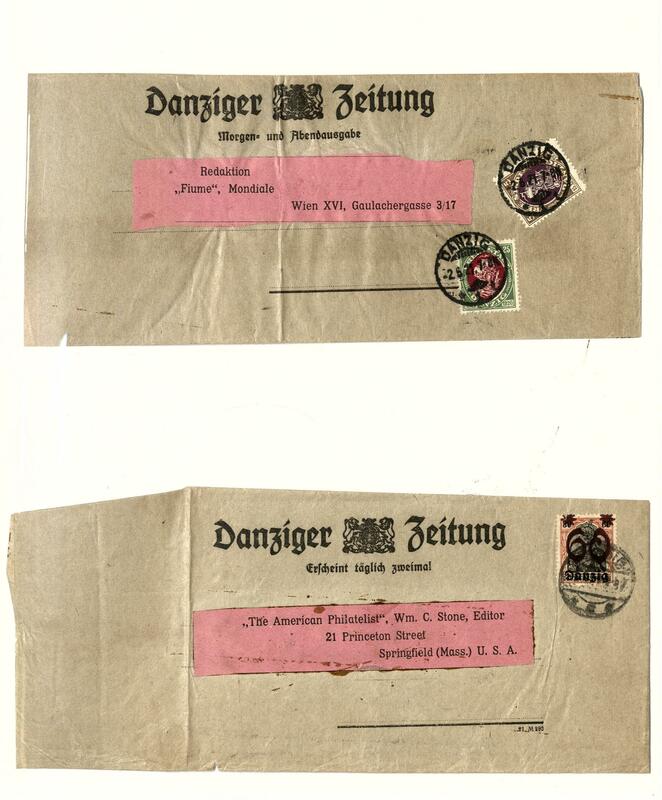 November 1930, souvenir sheets, winter relief series, airmail exhibition 1932, an extensive set service- and postage due stamps and subsequent still Polish Post in Gdansk harbour. A magnificent object of this popular area with substance! 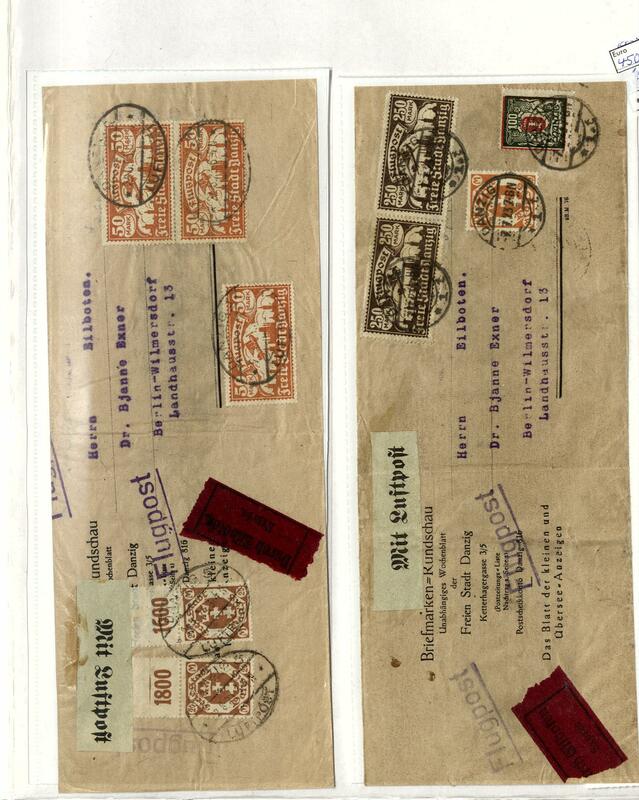 1148 ✉ Gdansk - 1921 / 39, extraordinary collection from stamped wrappers, all legitimate postage in the spring back binder. 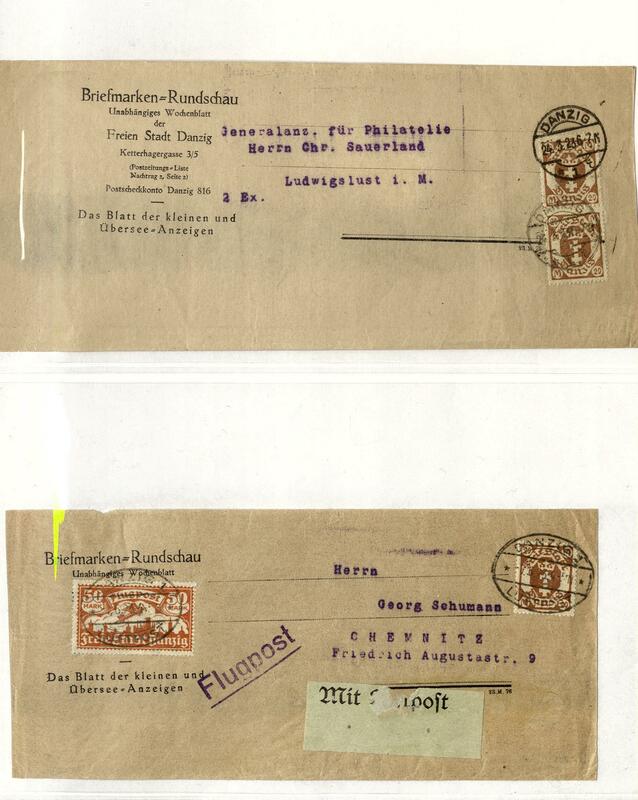 As well scarce documents, various postage steps, single- and multiple franking, a three colours franking on wrapper from 1921 to Romania used with censorship stamp and further attractive documents. In this kind pretty much never offered! (Photo see Internet). 1406 ⊙ 207/11 Gdansk - 1920 / 39, rich collection, almost exclusively used collected and nearly complete in the KABE hingeless illustrated album. 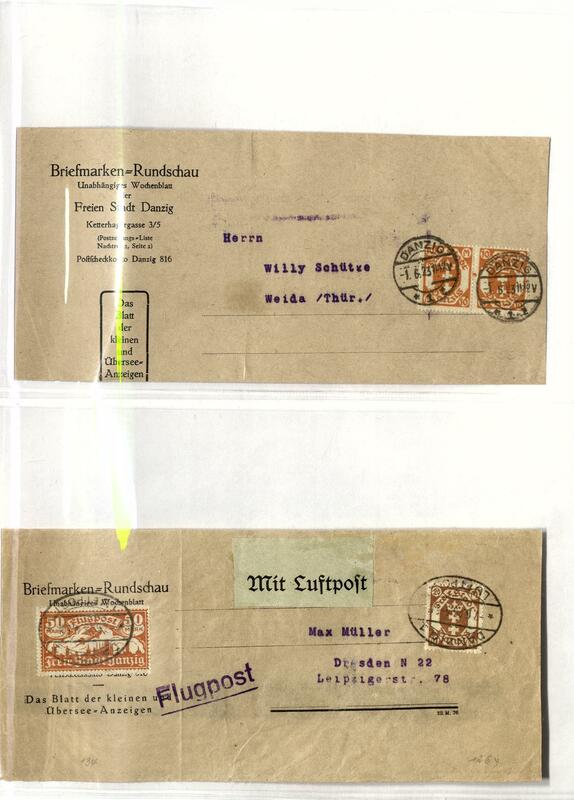 As well numerous better issues, overprint items, better sets, gulden values, Gulden provisional stamp 1923, Michel no. 207 / 11, overprint set to the 15. 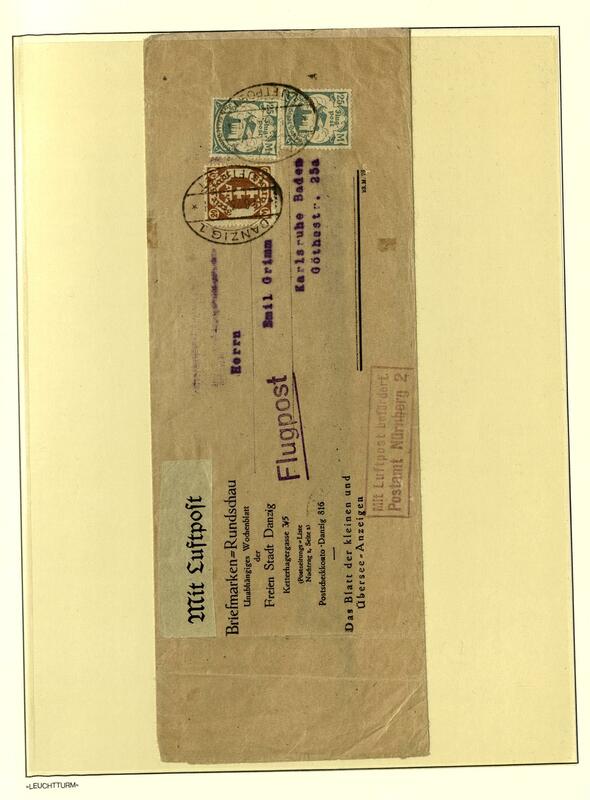 November 1930, airmail exhibition 1932, winter relief series, souvenir sheets, service- and postage due stamps, as well Polish Post in Gdansk harbour. A magnificent object! 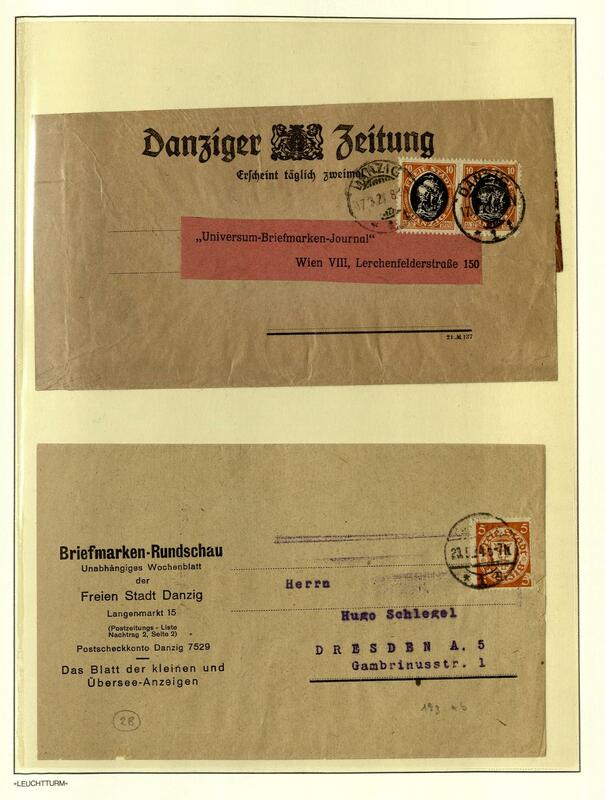 1739 ⊙ Gdansk - 1920 / 39, extensive used collection in the Lindner T hingeless printed form ring binder with numerous different issues, better values, gulden values, airmail 1924, special- and commemorative issues, service- and postage due stamps and so on. Very high catalog value! 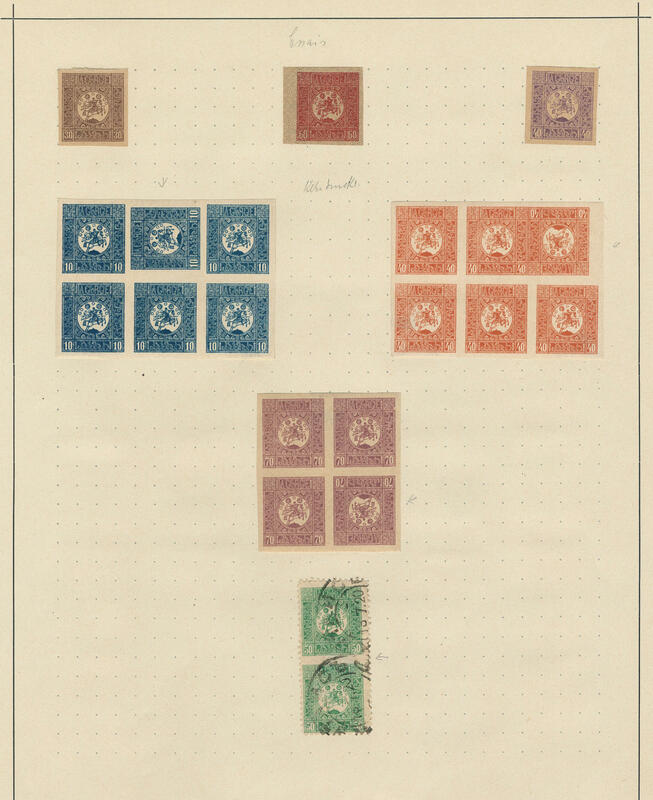 1864 217/19 Gdansk - nice mint never hinged collection different blocks of four in the stockbook, as well better issues, numerous corners of the sheet and so on. Included are also Michel no. 217 / 19, 251 / 55, 269, 281 / 83, 298 / 301 and so on. A wonderful object! Michel approximate 1840,- €. 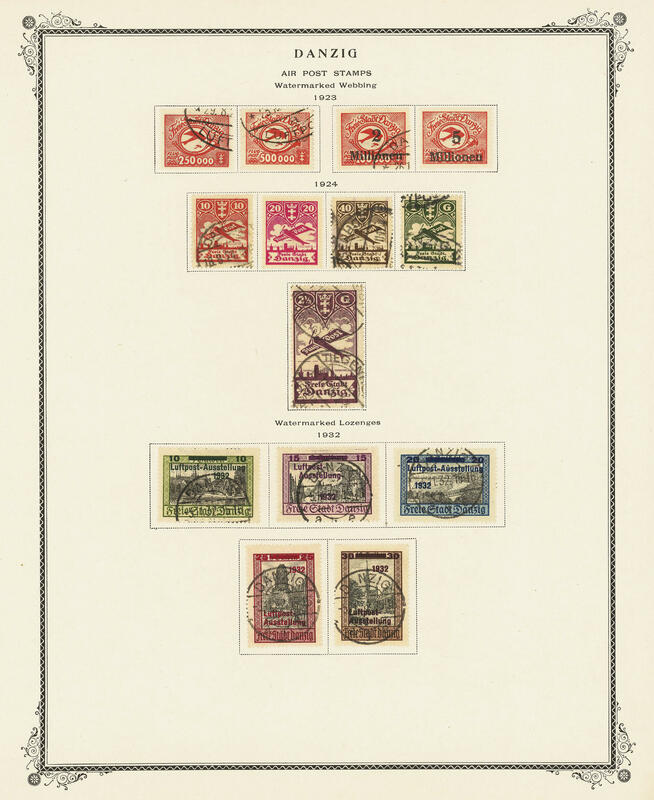 1865 /⊙/ Gdansk - very extensive inventory housed in two large stockbooks, in stock created. 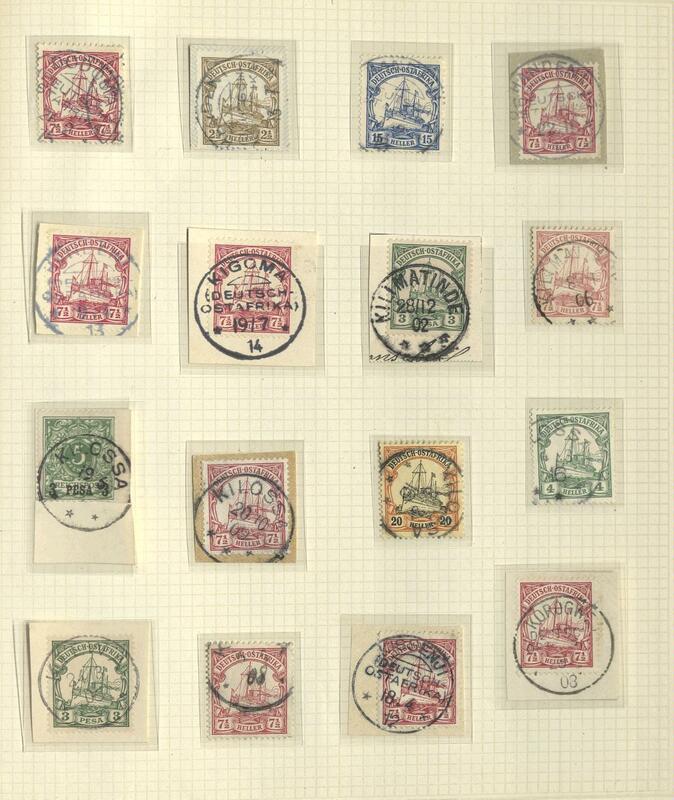 As well an abundance different issues, often multiple, partly close one above the other puted, including complete sets, numerous overprint issues, gulden values, airmail exhibition 1932, further special- and commemorative sets, winter help work issues, service- and postage due stamps and so on. Enormous catalog value! 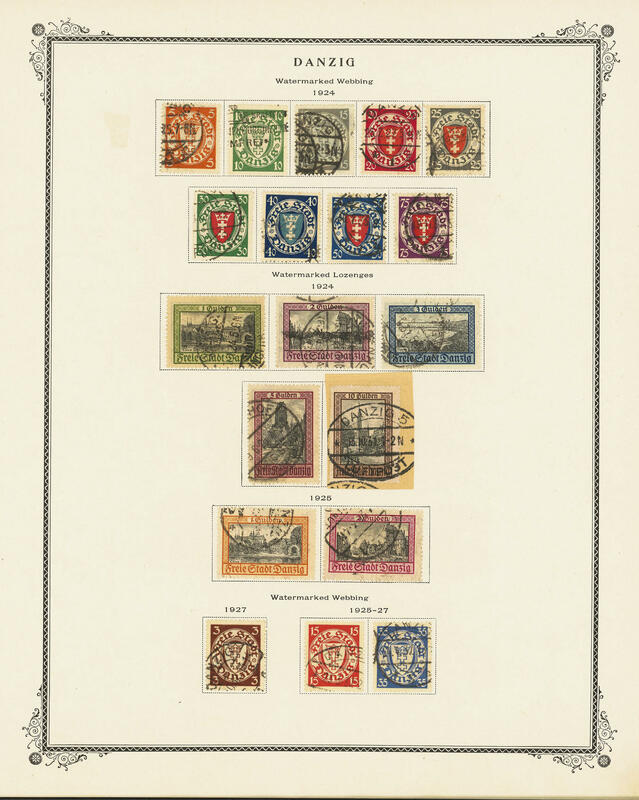 1866 /⊙/ Gdansk - 1920 / 39, interesting and extensive inventory housed in a thick spring back binder with lots of material, often stacked closely one above the other. 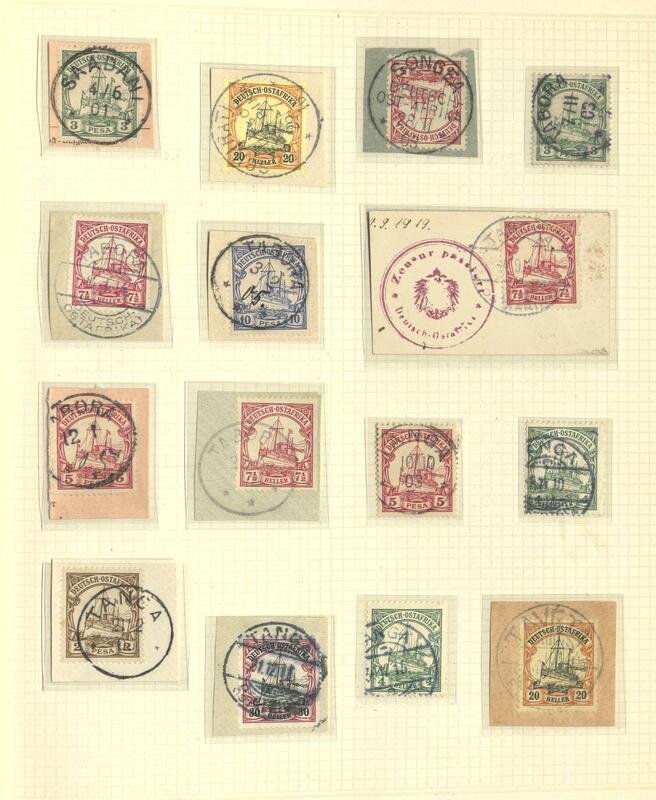 As well a plethora of overprint value, also multiples, much mint never hinged material, airmail items, gulden values, special- and commemorative issues, margin copies and corners of the sheet, house order numbers, as well an extensive part service- and postage due stamps. 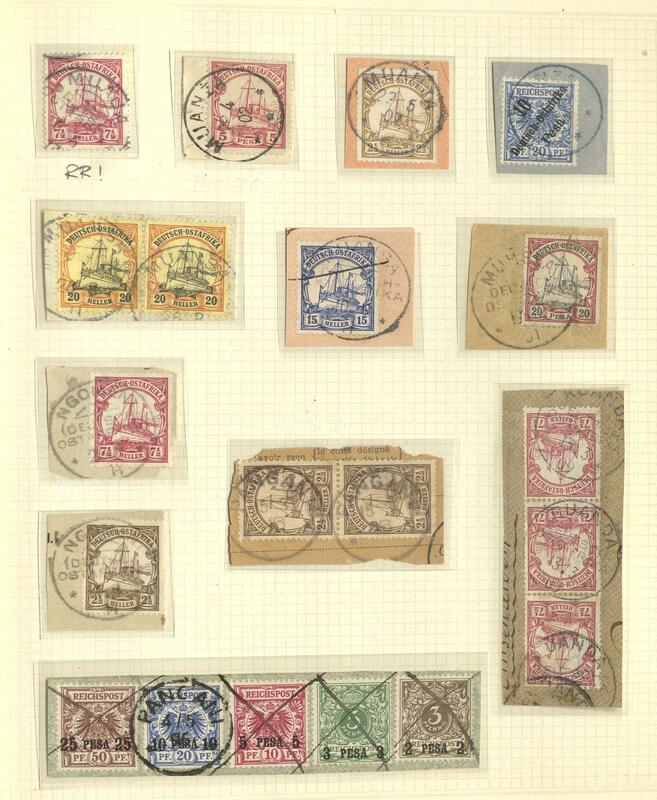 A nice inventory with enormous catalogue value! 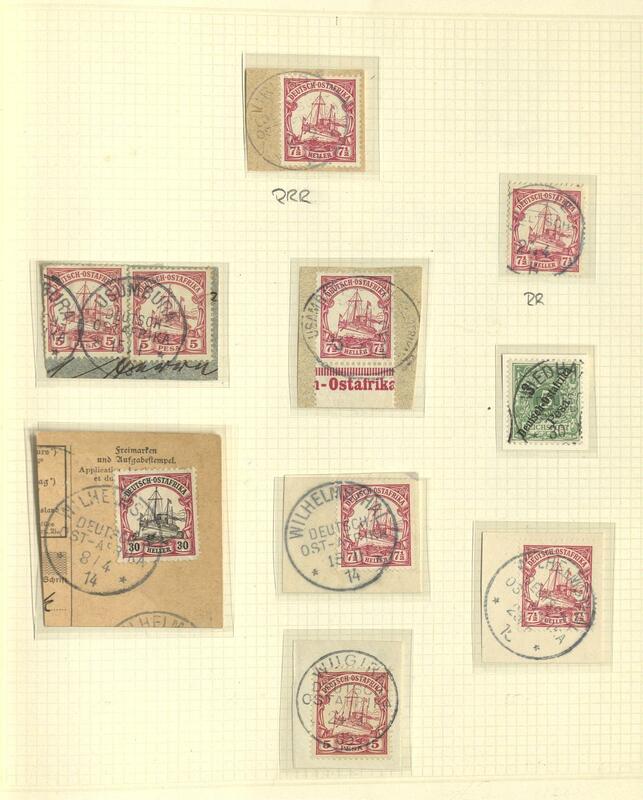 1912 /⊙/ Gdansk - 1920 / 39, interesting and rich collection with numerous good issues in the Schaubek illustrated album. 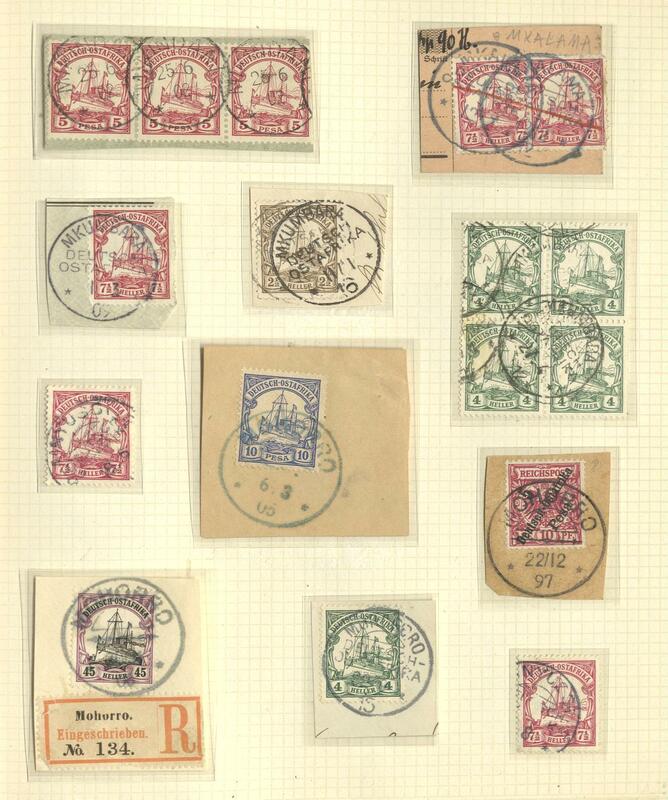 As well numerous complete sets, overprint items, inflation period issues, Gulden provisional stamp 1923, airmail 1924, airmail exhibition 1932, winter relief series from 1934, souvenir sheets, as well also an extensive part service- and postage due stamps with useful issues. Superb collection! 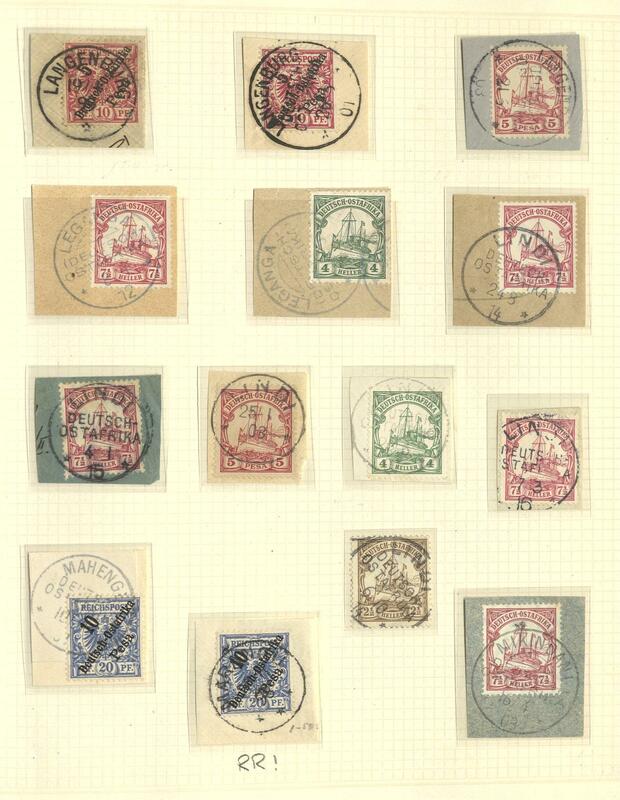 2427 / /⊙ 181/92, 207/11 Gdansk - 1920 / 39, very nice and rich collection, nearly complete on Schwaneberger preprinted pages formed. 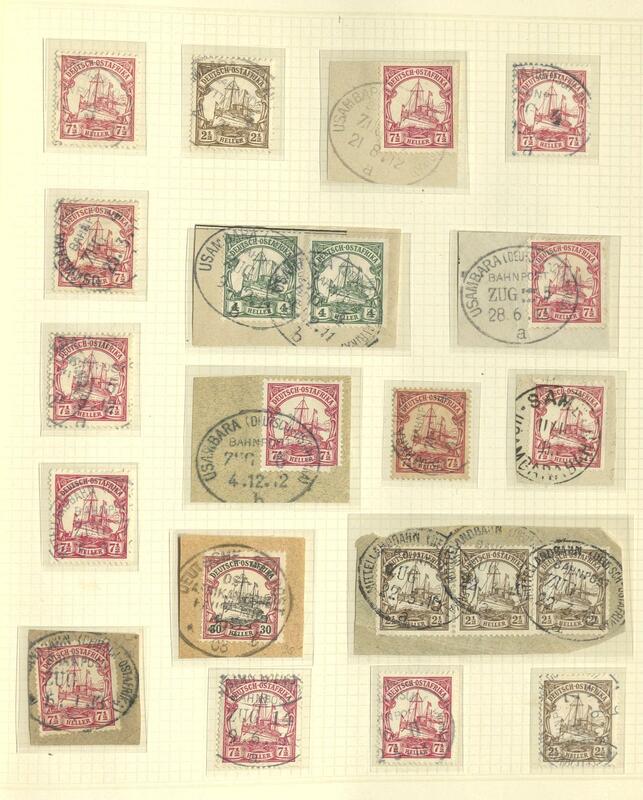 As well popular issues, many complete sets, overprint items, airmail and so on. 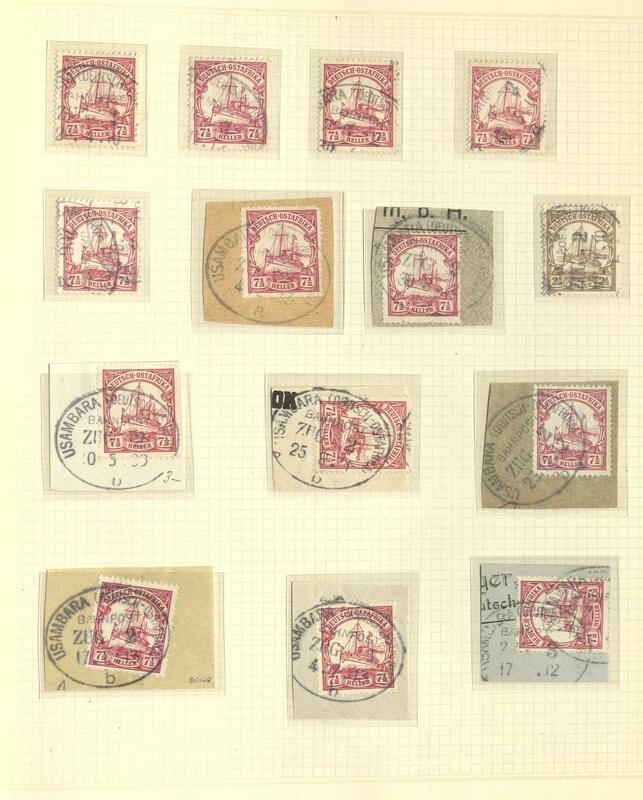 Including the Gulden provisional stamp from 1923 (Michel no. 181 / 92), gulden values (Michel no. 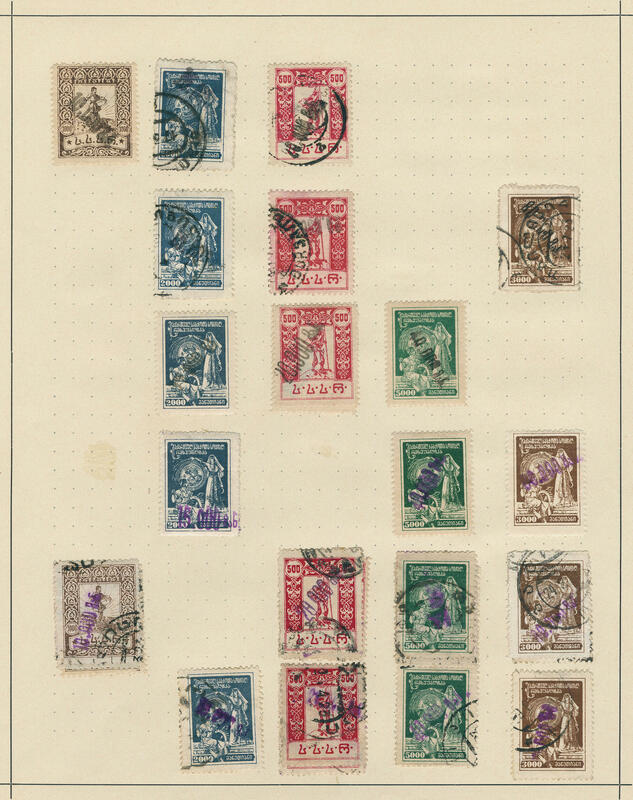 207 / 11), airmail 1924, airmail exhibition 1932, winter relief series, all souvenir sheets, official stamps well-staffed, as well postage due stamps. A magnificent object! 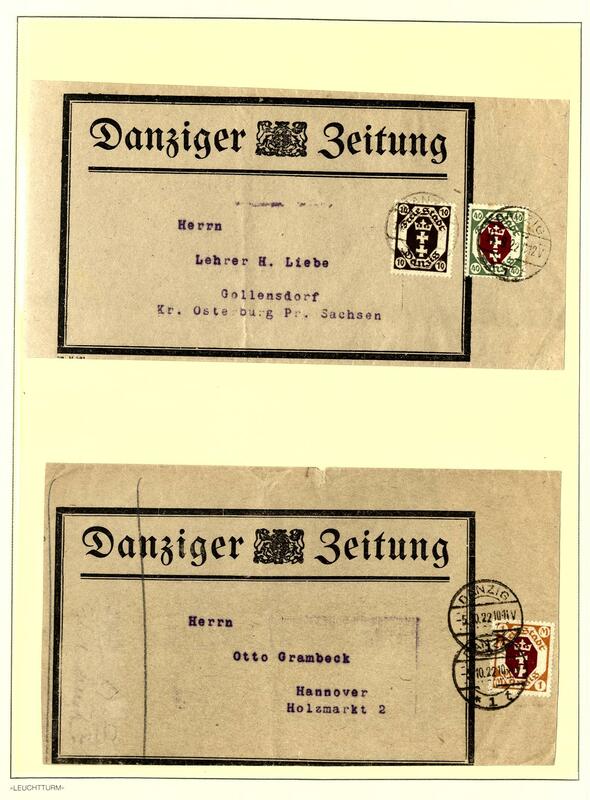 3395 ⊙ Gdansk - extensive used collection in the Lindner ring binder, many complete sets, including better issues, gulden values, the overprint set 1930 on register-express messenger-c.o.d.-letter and so on. Please have a look! 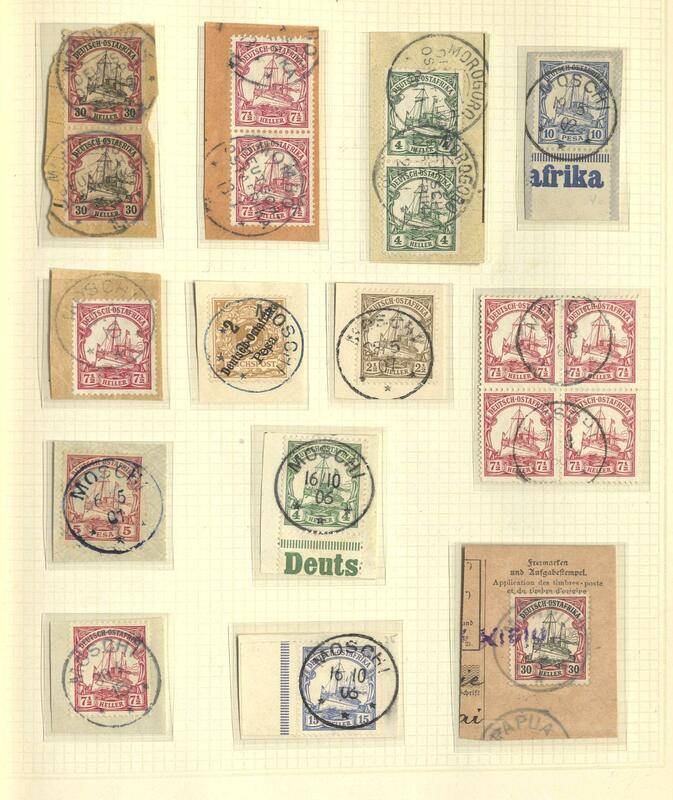 2415 ⊙/ /✉ Georgia - 1919 / 23, interesting collection on Schaubek pages with sought-after issues, as well three scarce essays of the issue 1919 with the denomination value 30, 40 and 60 Kopecks with background, a block of four and two blocks of six with tête-bêches, the 50 Kop. 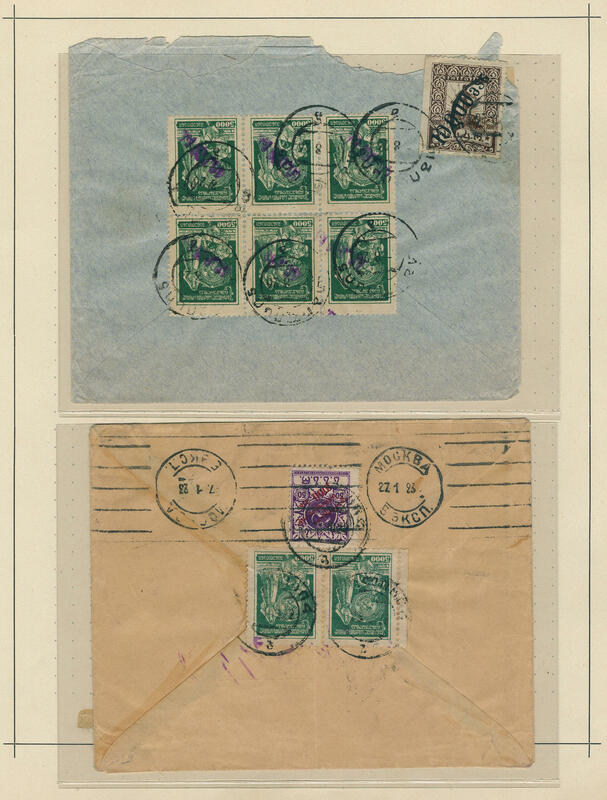 Light green in the vertical pair in the middle unperforated used, two scarce commercially used letters (one rough opened), as well also an interesting part consulate mails in Constantinople with sought-after overprint value and so on. Also an interesting part overprint issues from the times the Soviet Republic exist. 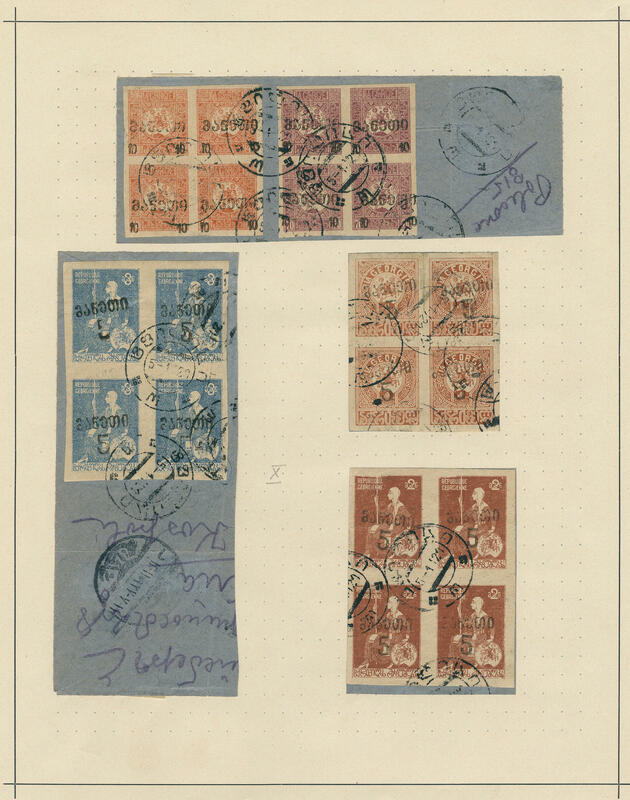 With also various issues and denomination value, inverted overprints and so on. Hardly ever offered in this form! 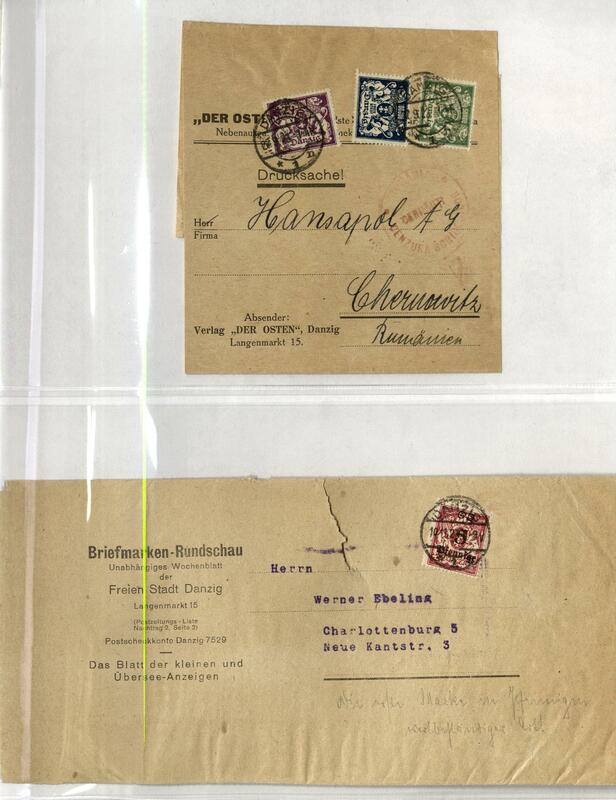 21 ∆/⊙ German East Africa - very nice collection the cancellations with mainly letter pieces in the spring back binder clean made up. Many better places, dreamlike nice pieces in outstanding quality, wonderful centered strikes and so on. Including Marangu on beautiful on piece in outstanding quality, Umbulu on very nice letter piece with 7 ½ lighter ships expertized Bothe BPP, Urundi on beautiful on piece in outstanding quality with 7 ½ lighter expertized Mansfeld and further sought cancellations, also War data, railway cancel (TPO) and so on. An exceptional nice collection this attractive area!